Seven-episode series showcasing birding on the Bolivar Peninsula. Produced and emceed by David Harris of Bolivar LIVE, featuring Winnie Burkett as the local birding expert. Each episode is about 10 minutes long. You can watch new episodes each Thursday at 11 am on Bolivar LIVE. Bolivar Peninsula is one of the top 100 birding locations in the USA, and High Island is one of the top 10. Watch episode 4 filmed at Bolivar Flats and the North Jetty area. Watch episode 3 filmed at the Horseshoe Marsh Bird Sanctuary. Watch episode 2 filmed on the mud flats at Rollover Pass. Watch episode 1 filmed at the Rookery in Smith Oaks on High Island. 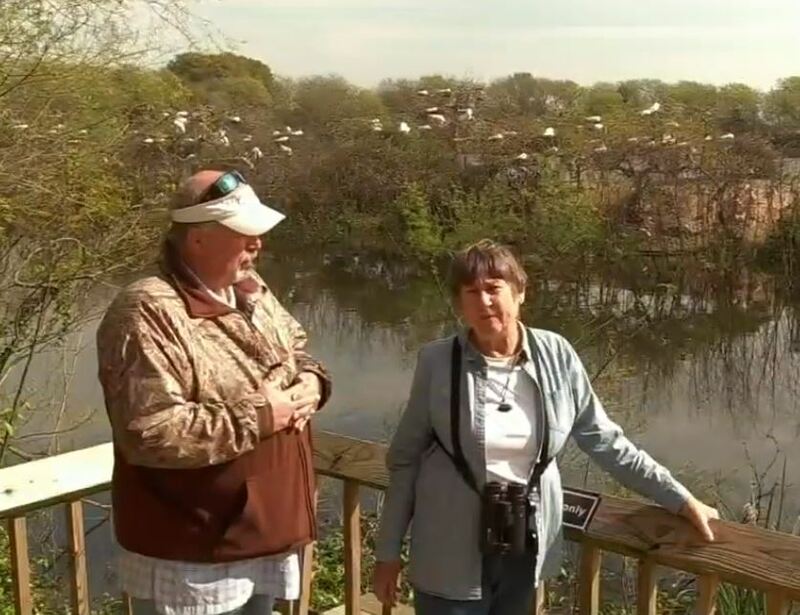 Burkett: "The Rookery is probably the only place in the United States where you can get this close to nesting herons and spoonbills."